I have been happily married for 29 years in March. I did not get married until I was 28 years old. I now have 4 beautiful Children. 3 Girls and my youngest is a boy. I had gone to College up at NAU for three years then transfered to ASU for two. I was an Accountant for 16 years then had my mid life thing and changed my career and became a Realtor. I am with Russ Lyon Sotheby's International Realty going on 15 1/2 years. My family is part of the CCV - Christ Church of the Valley that meets in Peoria, Az. Our family loves boating at Lake Pleasant and going to Munds Park, Az to our cabin. I loved gymnastics. I was on the gymnastics team for 4 years. That took up most of my after school hours. Tammy Duckworth (now Johnson) was my best friend. We roomed together up at NAU and still stay in touch today. Mary Beth Scheer Cline has a birthday today. Mary Beth Scheer Cline added a photo to profile gallery. 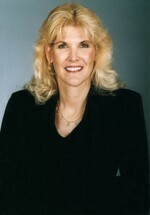 Mary Beth Scheer Cline updated profile. View. We love out Family trips to San Diego!